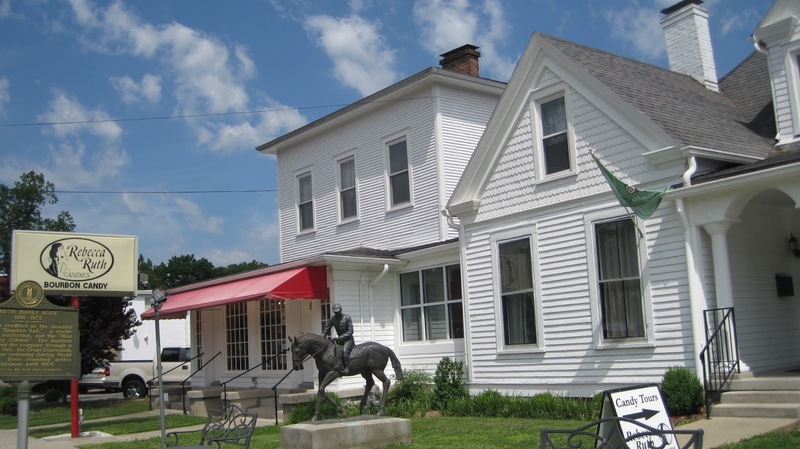 Once you have walked hand-in-hand with history in the streets of old town Frankfort, it’s time to turn your attention to some special attractions…ones you might have seen in passing, or read about in brochures, but didn’t take the time to really absorb and enjoy. Let begin with the hand Mother Nature plays in Frankfort. 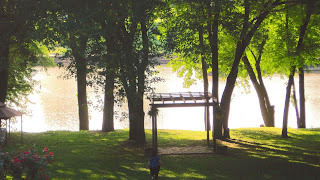 Not to be upstaged by the Capital City’s political status, Mother Nature takes center stage with her undulating Kentucky River that winds its way around the base of the city, and with her scenic Bluegrass Country hills that surround it. Her seasonal flowers blanket the Capitol grounds, grace the specialty gardens of government buildings, and form the face of a renowned clock. THE FLOWER CLOCK: Time never stands still in Kentucky’s State Capital. Frankfurt’s Floral Clock measures the time with giant hands weighing about a quarter of a ton each, a 20-foot long minute hand, a 15-foot hour hand and approximately 20,000 flowers that adorn the clock’s face. The 34-foot wide Floral Clock was once a political pawn deemed the “weed clock” by a rival politician. What sets this floral clock aside from others is the fact that, instead of resting on a bank of earth, it whiles away the time high in the air suspended above a reflective pool of water glistening with goldfish. 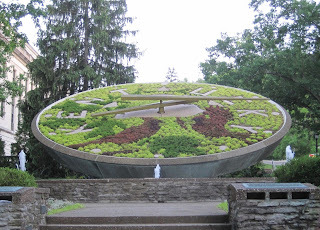 Frankfort’s Floral Clock, a major tourist attraction, not only marks the time of day but also marks the seasons of the year with a quarterly change in the plantings. Two red flower cardinals (the state bird) are featured in the Spring planting of the clock. 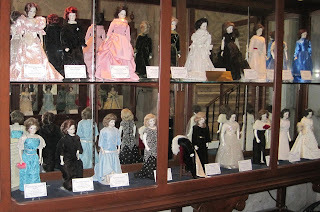 THE FIRST LADY MINIATURE DOLL COLLECTION: This unique collection representing each first lady of Kentucky is displayed within The Kentucky State Capitol. 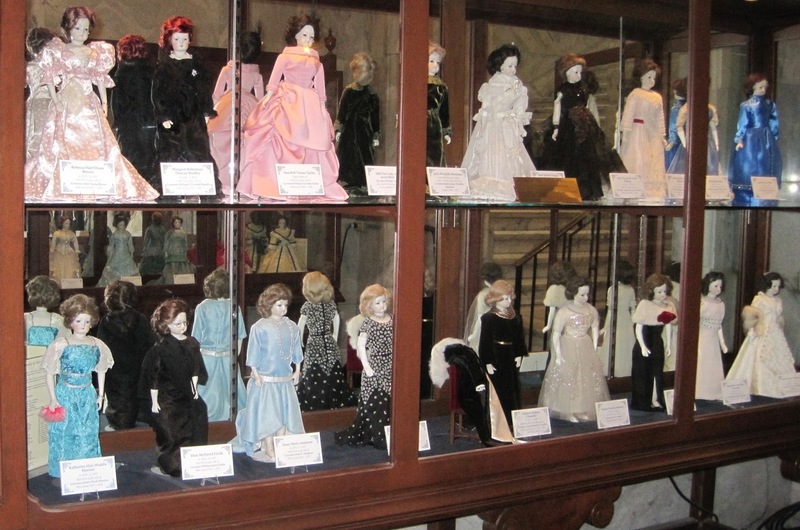 The dolls are dressed in gowns made of fabrics matching that of the gowns worn by the first ladies to their husband’s Inaugural Ball. 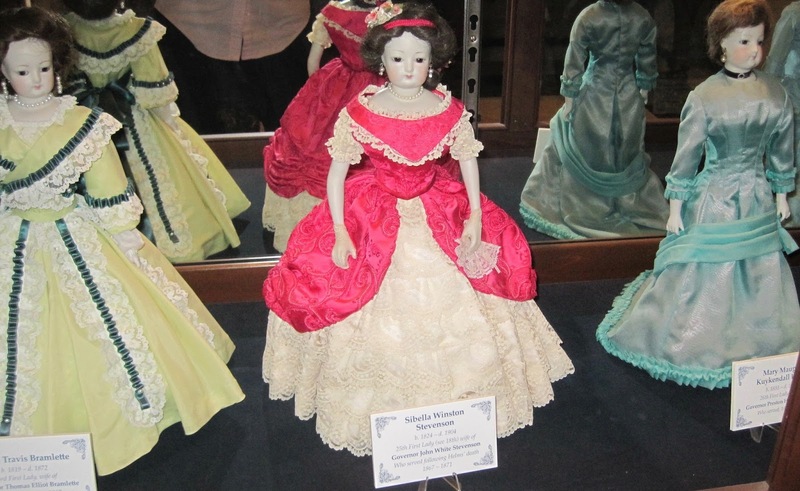 Two governorships have no First Lady dolls. There is no doll for Governor William Goebel’s First Lady, because he didn’t have one…he was a bachelor. And there is no First Lady doll of Martha Layne Collins, because she was never was a First Lady…she was the governor. There was never a doll for Governor Collins’s “first husband” but the display does have a doll for Governor Collins. POOR RICHARD'S BOOKSTORE: Across from the state's beautiful Old Capitol building is one of a dwindling number of real bookstores. 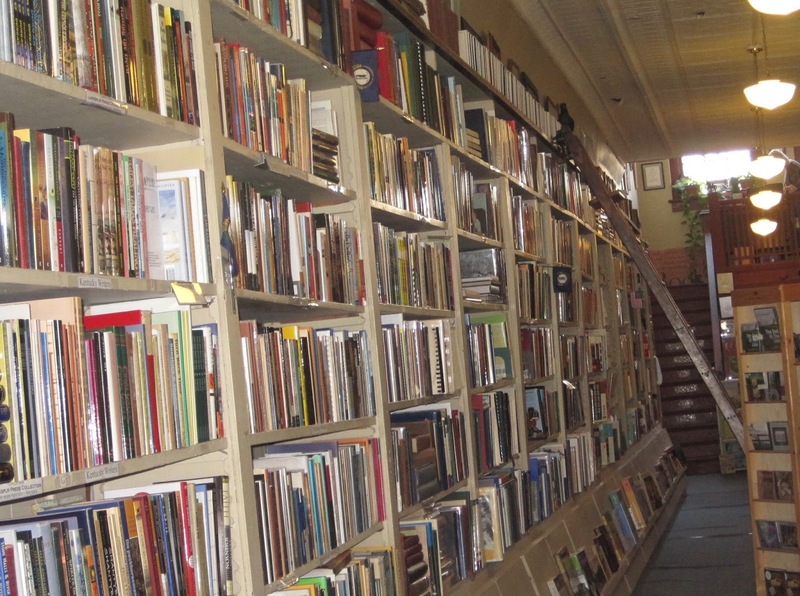 The shop, home of thousands of books, specializes in Kentucky titles. 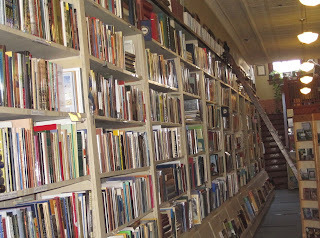 If you’re into climbing some steps, the attic is a haven filled with bibliophilic treasures. The bookstore is a fun day on your birthday, especially if you are a kid who likes climbing library ladders. The rule at Poor Richard’s is that you can climb the rungs of the ladder up to your age number. Tired from touring? 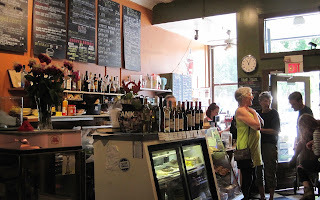 Relax as you sip an iced latte and listen to music at the Kentucky Coffeetree Café that adjoins the bookstore. 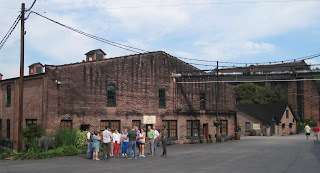 REBECCA-RUTH CANDY FACTORY: The renowned 100-proof Rebecca Ruth bourbon balls are made in historic downtown Frankfort, KY just a stone's throw from the Kentucky State Capitol building. Bourbon balls, a Southern delicacy, are bite-size confections incorporating bourbon and dark chocolate. In 1919, two single substitute school teachers, Ruth Hanly and her friend Rebecca Gooch, started the business. That was one year before women received the right to vote in public elections. These headstrong, gutsy woman decided they were not good teachers and they felt they could start a candy business without financial support of a husband. A few years later both women married and Rebecca sold her part of the business to Ruth Hanly Booe, who was thereafter known as Mrs. Boo, "The Mother of Bourbon Balls”. The Booe family continues to make hundreds of varieties of rare confections with time honored traditional methods. 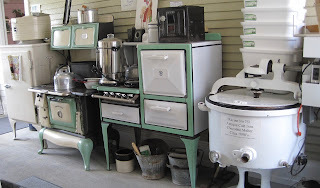 A factory tour includes the story of Ruth’s life, the history of Rebecca Ruth Candy, new and antique equipment that is still used today and "Edna''s Table" a 12 foot curved marble slab (the only survivor of a 1933 fire) on which the company’s chocolates were dipped. “Edna’s Table” was named after an employee of 67 years. Rebecca Ruth is a sweet taste of Kentucky history! BUFFALO TRACE DISTILLERY: In a state that has 2 million more barrels of bourbon than it has people, Frankfort’s Buffalo Trace claims to be the longest operating distillery in the U.S. It continued operation even during Prohibition because bourbon was deemed medicinal by someone in the legislature. The folks at Buffalo Trace Kentucky Straight Bourbon Whiskey claim that their whiskey is distilled, aged and bottled at the most award-winning distillery in the world. American pioneers and explorers were led to new frontiers by the ancient buffalo that carved paths through the wilderness. Four centuries of architecture, all still fully operational, are impressively sprawled over 130 acres that the Buffalo Trace Company claims was once an ancient buffalo crossing on the banks of the Kentucky River. 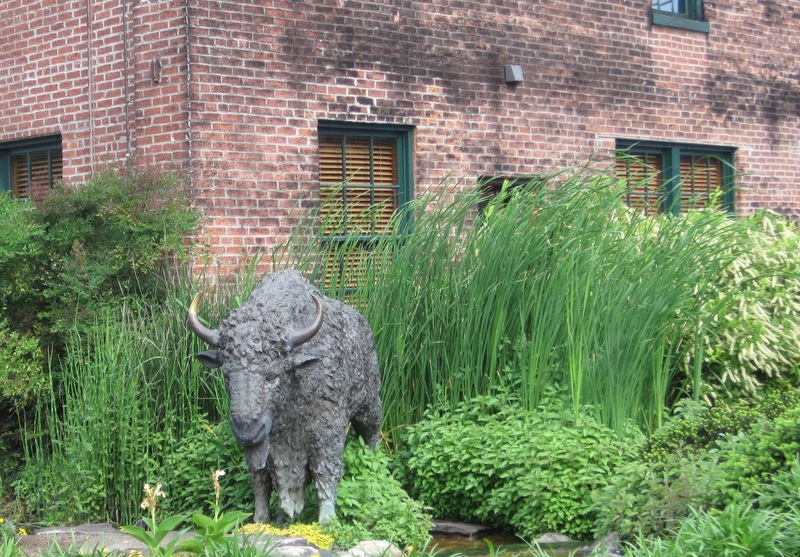 Their signature Buffalo Trace Kentucky Straight Bourbon Whiskey was introduced in 1999 as a tribute to the mighty buffalo and the rugged, independent spirit of the pioneers who followed them. KENTUCKY DISTILLED: The motto of the friendly folks who live in this small town on the banks of the Kentucky River states that their city is “Kentucky Distilled”. According to the dictionary, ‘distilled’ means summing something up. 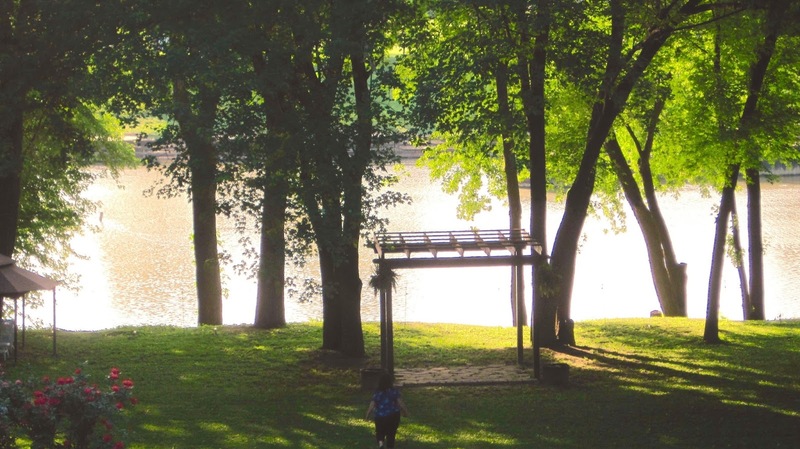 And, according to the Frankfort Tourist Commission, Frankfort sums up the essence of everything that makes this gracious southern state special…from her natural charm and beauty to her world-renowned bourbon, all in one distinctly small and spirited package. Welcome to The Travel Authority's official travel blog. For over 30 years our valued clients have been relying on us to create travel memories that last a lifetime. For the travel office nearest you, call 1-877-297-1515. The Travel Authority is division of ALTOUR. We are the largest American Express Travel Representative Agency in the United States. The Travel Authority has offices in Indiana, Kentucky, Ohio, Tennessee, Florida, Michigan & Minnesota.